Open since 1988, Pound Ridge Auto is a family owned business conveniently located in northern Westchester, near the Connecticut border, a short drive from Lewisboro, Bedford, New Canaan and North Stamford. Owners Keith Wax and Steve Eidam have been providing their customers with prompt, reliable service for over 25 years. 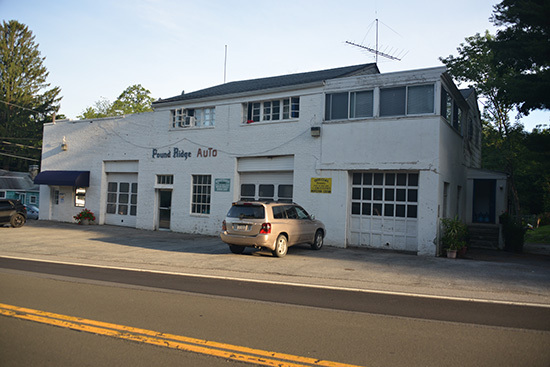 Pound Ridge Auto services all makes and models of cars, both foreign and domestic and welcomes fleet and municipal work. Pound Ridge Auto provides a cost-effective and convenient alternative to dealer service. We are qualified to perform all dealer-recommended maintenance and service including alignment, front end, suspension and brake diagnosis and repair. Pound Ridge Auto has the equipment to provide a full spectrum of computer diagnostics; including tire pressure monitoring system and air conditioning and heating system diagnostics and repair. Pound Ridge Auto is an official New York State Inspection Center. We are an approved Tire Rack Installation Center and a competitive tire center, including tire purchase, replacement and repair. If you are looking for competitive prices on jobs as simple as an oil change all the way to the most complicated service, Pound Ridge Auto is the place. Not only do we have years of experience, but we always provide our customers with quality care.